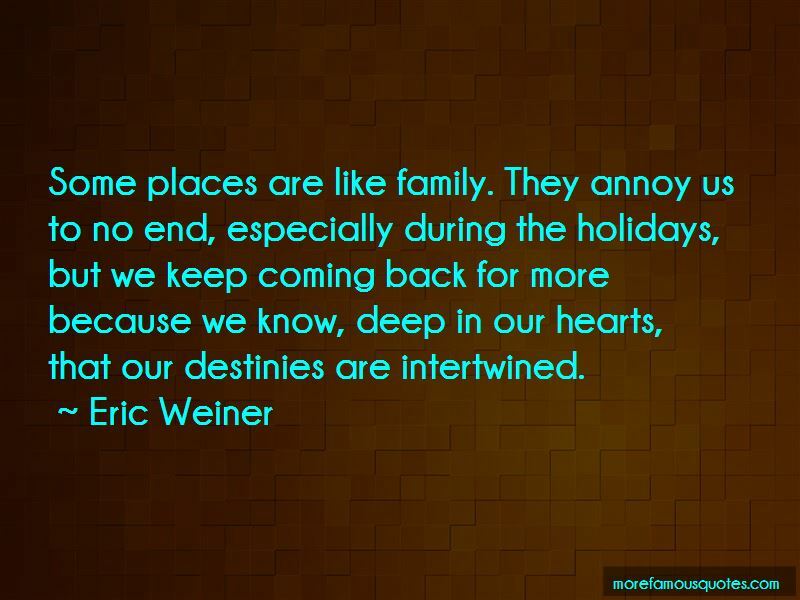 Enjoy the top 55 famous quotes, sayings and quotations by Eric Weiner. [Happiness is] a ghost, it's a shadow. You can't really chase it. It's a by-product, a very pleasant side effect to a life lived well. God is not an exclamation point. He is, at his best, a semicolon, connecting people, and generating what Aldous Huxley called "human grace." Somewhere along the way, we've lost sight of this. So the greatest source of happiness is other people- and what does money do? It isolates us from other people. It enables us to build walls, literal and figurative, around ourselves. We move from a teeming college dorm to an apartment to a house, and if we're really wealthy, to an estate. We think we're moving up, but really we're walling off ourselves. For me, a place unvisited is like an unrequited love. A dull ache that- try as you might to think it away, to convince yourself that she really wasn't the right country for you- just won't leave you in peace. Someone like Mozart moves from Salzburg to Vienna, where all of the sudden he finds this musical city that is not only asking for music, it's demanding music of him. 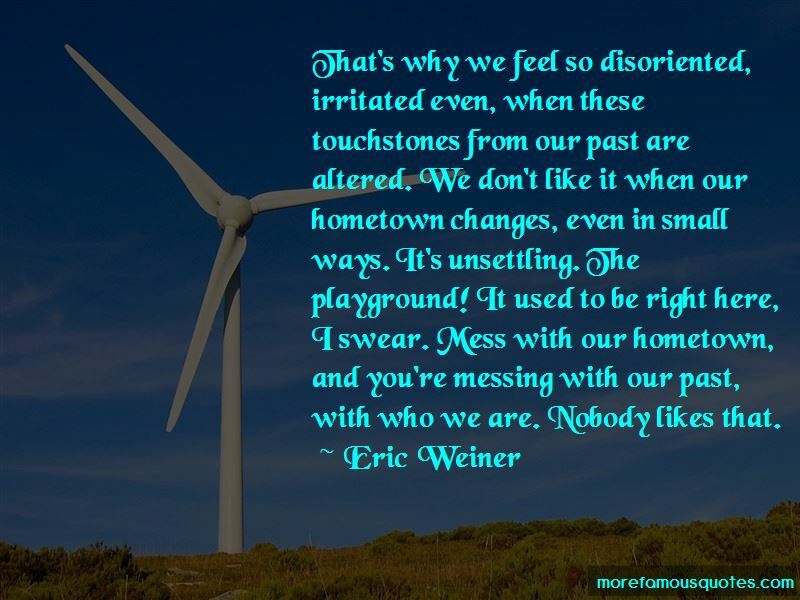 That's why we feel so disoriented, irritated even, when these touchstones from our past are altered. We don't like it when our hometown changes, even in small ways. It's unsettling. The playground! It used to be right here, I swear. Mess with our hometown, and you're messing with our past, with who we are. Nobody likes that. Genius is not only a what or a who, it is a where. It is grounded in a place every single time. The coffee shop played a big role in Vienna of 1900. Rents were sky high, housing was difficult to come by, your apartment probably wasn't heated, and so you went to the coffee shop. You went to the coffee shop because it was warm, because it was great Viennese coffee, and you went for the conversation and the company. 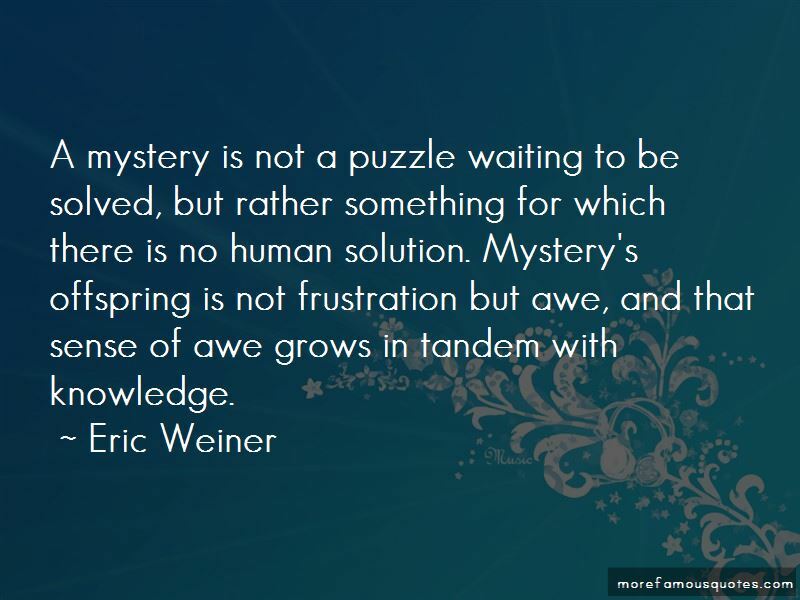 Want to see more pictures of Eric Weiner quotes? 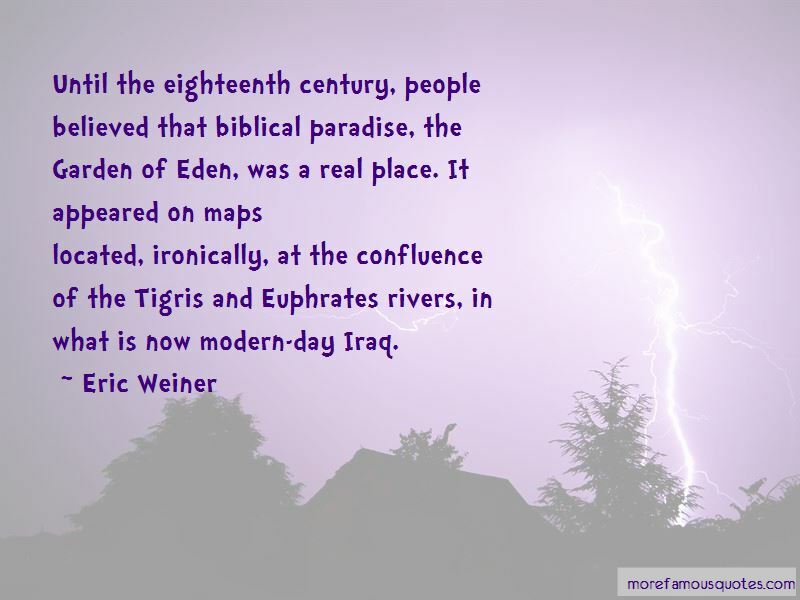 Click on image of Eric Weiner quotes to view full size.